MIMS, Florida -- The Brevard County Sheriff’s Office responded to a reported armed robbery with a firearm at the Mims Discount Beverage Store located at 4109 State Road 46 in Mims, Florida. Once on scene, deputies learned that at approximately 7:50 p.m. Sunday night, a black male entered the store. After a brief time in the bathroom, the black male approached the clerk from behind, placing what the clerk believed was a firearm into the small of the clerk's back, and demanded the money from the cash register. The clerk complied with the suspect's demands, providing the suspect with an undetermined amount of money. The suspect then departed the store without incident. 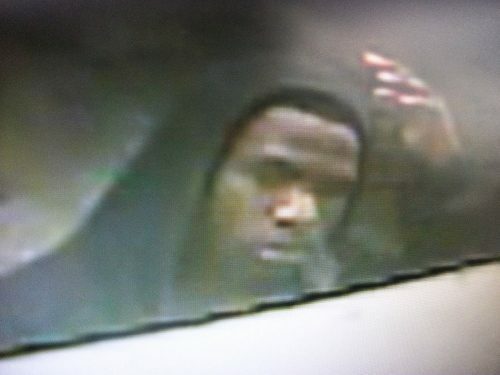 The suspect is described as a younger black male, approximately eighteen to thirty years of age, wearing a black hooded sweat shirt with a white liner, a black or dark blue “A” style tank, blue boxers, blue jean shorts and black shoes. The male is estimated to be between 5' 6" to approximately 6' tall, with a slender build. 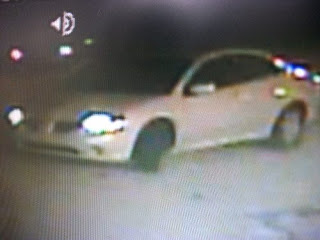 The male was seen driving a late model white or cream colored Mitsubishi four-door, possibly a “Galant” model, which he used to leave the scene. Additionally, the vehicle has a small rectangle sticker affixed to the driver’s side, bottom corner of the windshield. Anyone with information about this armed robbery is urged to call CRIMELINE at 1-800-423-TIPS (8477). All calls to CRIMELINE are confidential, and callers can remain anonymous and be eligible for a reward of up to $1,000 for information leading to an arrest.